You are here: Home / Sightseeing / Korkeasaari or Helsinki Zoo: on an island! Known as Korkesaari to the Finns, Helsinki Zoo is far from the largest, even in northern Europe, but it is one of the oldest zoos, having been founded in 1889. 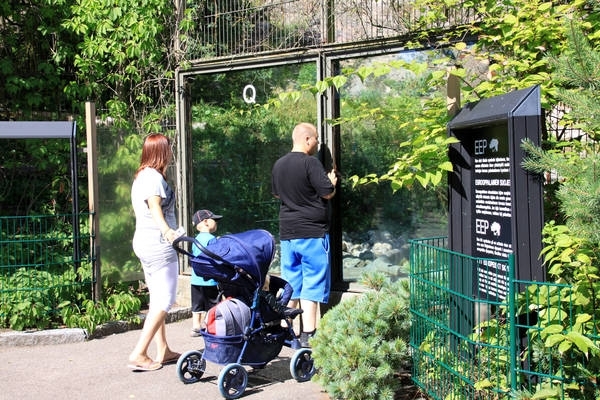 It may not be the largest, but Helsinki Zoo is nevertheless a must-not-miss sight for tourists, especially those travelling with kids. The setting alone is worth a visit. Helsinki Zoo is located on Korkeasaari, a small round island, one of over a hundred that dot the landscape in and around Finland. 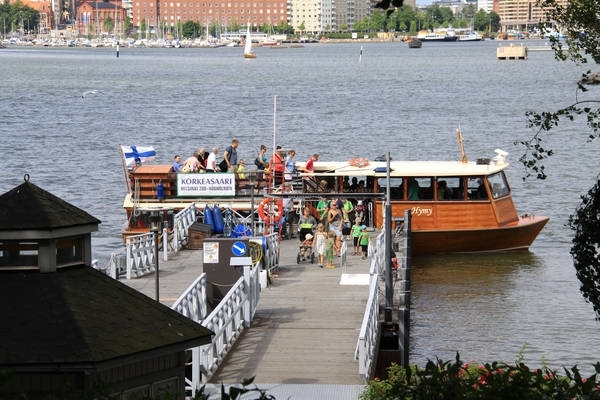 Easily reached by boat, it is a pleasant 30 minute ride from Helsinki harbour in Kruunuvuori Bay. Once you arrive, you’ll be treated to over 200 animal species with over 1,000 plant species. Though small by comparison to the great zoos, the collection offers a fascinating look at creatures all the way from the frozen Arctic to the sweltering Tropics. It’s no wonder that Korkeasaari claims that they have the whole world on an island. In the Amazon and Africa section there are dozens of interesting snakes and spiders that will delight kids young and old. For those who are a bit squeamish, bypass the scary animals and head for the frogs, lizards and turtles. These animals are relatively unchanged from their ancestors millions of years ago and make for fascinating study. Helsinki Zoo has plenty of parrots to amuse visitors and the monkeys will imitate the parrots imitating the humans. There are zebra and elk galore, with deer and baboons too. The baboons even have their own castle. Try to spot which one is king. Baboons have a very rigid and violently maintained hierarchy and the leader is called the ‘king’. Not far away are chamois, ibex and musk ox. Beware the wolverines. Don’t try to feed them. Normally docile, they can be fierce when frightened. Don’t miss seeing the lemmings, who get scared for no reason. Though don’t expect them to jump off a cliff. That’s a myth! The small, Przewalski’s wild horses are always a favourite of visitors. For examples from the frigid north, Korkesaari offers a look at Polar Foxes, Snowy Owls and Forest Reindeer from Lapland, along with a great looking Snow Leopard. Many of the animals are active winter and summer and the zoo provides a great view all year ’round. Wander through Borealia and see first hand what a real Northern Coniferous Forest looks like. Check out the rare ducks and the many interesting plant and tree species. To see some of the endangered species protected at the zoo just follow the Rhino signs. Helsinki Zoo has other great attractions like the huge, modern looking wooden observation tower. Ten meters high (33 feet), it was built as an engineering exercise. Its shape is something like a distorted hatbox made of wooden ribs. From the top you can get a great view of the zoo grounds and the surrounding sea.